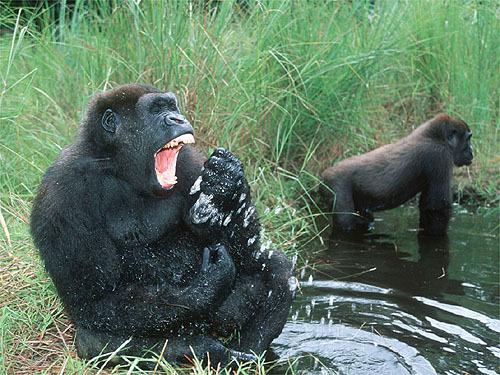 True Wild Life | Cross River Gorilla | The cross river gorilla is one of two subspecies of western gorilla (the other being the more numerous western lowland gorilla) found in the jungles on the African continent. The cross river gorilla is now incredibly rare in the wild and there are just a handful of cross river gorilla individuals thought to be in just 11 locations. The cross river gorilla is found inhabiting the tropical jungles and forests of western and central Africa, along with lowland swamps and secondary forests. 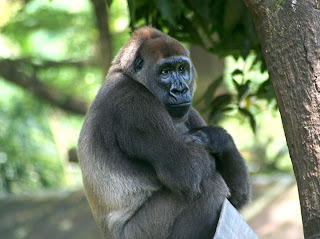 The cross river gorilla is generally found on the border between Nigeria and Cameroon, where less than 300 individuals are estimated to be inhabiting the forests. There are two separate sub-species of western gorilla which are the western lowland gorilla and the cross river gorilla. 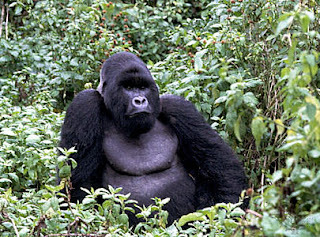 Although only slightly different in appearance, the two western gorilla species are distinguished by their differing skull and tooth sizes, and the western lowland gorilla is also more common than the cross river gorilla with nearly 100,000 individuals thought to be left in the wild (it is however still at critically endangered species). The cross river gorilla is one of the great apes, a group that includes orang-utans, gorillas, humans and chimpanzees. 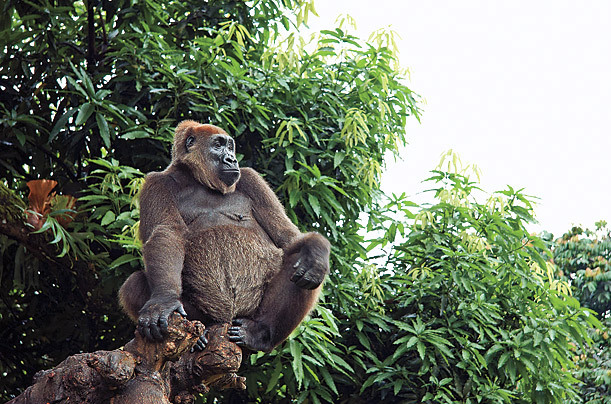 As with the other great apes, the cross river gorilla has a number of features which makes living in the jungle a bit easier, including having opposable thumbs which come in handy when the cross river gorilla is peeling fruit. No credits for these images?